Daughter learned how to ride a bike today. A big girl bike, with just two wheels and a hand break. 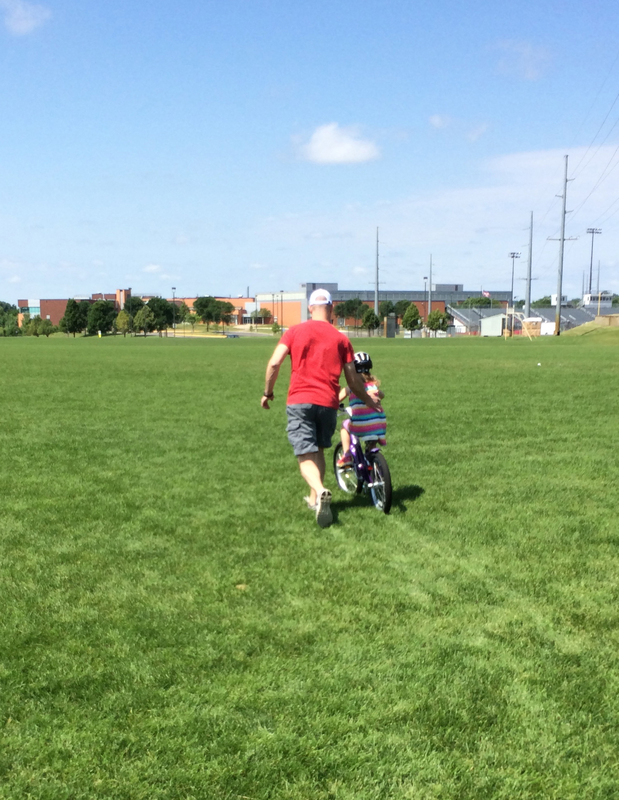 We brought her to the high school fields and husband ran along side her down grassy hill after grassy hill. I was a nervous wreck. She was a nervous wreck. I told her one thing before we started: Have Fun. And I think those two words worked. Not only did she have fun, but she wanted to do it over and over and over. After she was confident in the grass we moved to a sidewalk and then a parking lot. We all came home sweaty, hot and proud.